HME/DME providers are fortunate to have people of very high quality and standards as the leaders of our state associations and AAHomecare. The amount of time they give to their members cannot be measured. As I read the e-mails that many send to me, I see one thing that is impossible to buy - CARE! They really care for each member. When I review the materials that I have received from Karyn Estrella (HOMES), Rose Schafhauser (MAMES), Beth Bowen (NCAMES), Mike Hamilton (ADMEA), Rick Stevens (WVMESA), just to name only a few, I am so impressed by the high quality of the work they provide their members. There are more than 40 state associations and there is no way I can fully describe how much these “leaders” do for their members. They care, and must be thanked by their members and all of our industry. Yes, they care! They work with great dedication for their members and accomplish so much. When I speak with any of these leaders, the obligation they demonstrate for all their members is strong. Wouldn’t it be nice if our elected congressmen followed their example? If you currently are not a member of your state DME association, please join STAT. I have the telephone number and address for each and will gladly give it to you (please call me at: 321-255-3885). Several things happen when you join. Perhaps the most important is that you will strengthen your company by working with them! Together you will help get the pending legislation out of committee and to the floor to be passed. If not, your company and many others may be forced to close their doors. We cannot allow this to happen! With more members, the leaders, whose salaries are meager and not compensative to their performance, will be able to be better rewarded. They all work for you with such dedication! Medtrade is rapidly approaching. There, you will meet many state association officers. Join now and make an appointment to meet them in Atlanta. With the industry under so much pressure, it is imperative that you both join your state association and follow up by attending Medtrade. Thelma and I will be there! If you have not yet registered for Medtrade, use promotional code 20SOCIAL and get $20 off the Conference. >Click Here to Register Now. The last few weeks have been very exciting. I am watching how many DME/HME dealers have recognized that they must all work in tandem to continue to exist! Yes, it is happening! I receive copies of the memos from many state DME associations, and I cannot find a sufficient number of words to express how impressed I am by what they are accomplishing. They have made every attempt to ask their congressmen to support our industry, and the results are fantastic. The congressmen are signing on! We must reach the number of supporters necessary to get the necessary legislation out of committee and on to the floor to be passed. So it's time to get on the bandwagon with your state DME association and work. Then, we will succeed. Our industry has to appeal to their congressmen, but not with dollars, to get cooperation. Do it by explaining that they are speaking for all the people in their community, not as Democrats or as Republicans, but as American citizens. I think the time has come when ALL elected officials can understand their first and primary task is to represent every American. I am appalled when the newspapers report how little the last few Congresses have accomplished. I listen to all the commentators on TV and radio also reporting the same. The congress is divided into two parties and as a consequence, they do nothing. Why do we bother to elect these politicians? I know that "a new broom sweeps clean"; therefore, it is time for a change! Let us elect congressmen who will care for their constituents first. THANK YOU! If you have not yet registered for Medtrade (October 20-23 in Atlanta), do so now with the promo code 20SOCIAL to get $20 off the Conference. When I speak with providers, they know what should be done and have ideas on how to better things for the average dealer. I hear accolades about what AAHomecare and Tom Ryan will accomplish with their Audit Reform program. The last few weeks, when I made phone calls to several dealers just to see if that dealer sent a check in support of AAH, I didn’t even have to ask. I heard an immediate “Yes, I did,” or, “I will." The important thing is not any one of them said “No.” Isn’t this reassuring? I also like to ask if they are planning to attend Medtrade in Atlanta this fall. To me there is nothing more valuable to a DME/HME dealer than Medtrade! Let’s have a full house! “Audit Reform.” At Medtrade, we as an industry, must assure AAHomecare and the state DME associations that they have 100% support from providers. I hope to speak to as many exhibitors as possible asking for their support; however, I am very sure that many of them have already pledged and given support. Your role now is to make your plans for the balance of the year. When you enter the showroom at Medtrade, take notice of how brightly lit it is. You have to do the same thing in your showroom! Shoppers like to see everything clearly, and they also want to see a price tag on every item on display. When I was a teenager and went shopping with my grandparents (my job was to carry the purchases), they never picked up an item without a price tag on it. This has never changed. Make it easy to shop and watch how customers pick up what they need (or want). I realize that I drifted away from the topic of Audit Reform. At Medtrade, this will be the primary discussion and also the most important. Please make every effort to participate in the “Stand Up for Homecare” meeting with AAHomecare. I look forward to seeing many friends and sharing a glass of wine. The future for all of us rests with 100% support for AAHomecare and Audit Reform. If you have not yet registered for Medtrade, use the promotional code 20SOCIAL when you register to save $20 on the Conference. We need the full support of every DME/HME dealer and provider in the United States. I want you to protect your company as well as our industry! The American Association for Homecare (AAH) is one of the finest professional organizations in the United States. Tom Ryan, President, and his staff have taken the lead in this battle to protect those within our industry from being forced to close their doors by faulty or inadequate legislation. Some of things being proposed by Congress will only make things more difficult and will not resolve anything. Your patients, customers, and family caregivers may find that they will have to travel far and wide to get supplies and care. The entire industry, every vendor, manufacturer, or wholesaler face the same future. As the president of AAH, Tom Ryan has accepted this challenge! He has the support of the state DME associations, most of the vendors, and just about everyone who participated in “Stand Up for Homecare” at the Medtrade Exhibitions. AAHomecare is leading the way. To succeed, AAH needs adequate funds. This battle is not a one-day affair. It is a win or lose situation. Every facet of the health care industry is at stake! The way things are today, too many dealers may be forced to close their doors. If vendors and manufacturers have fewer dealers, will they stay solvent? A negative result is that many sick and bedridden patients will have to be hospitalized. This would be a disaster! We cannot allow it to happen. I humbly ask everyone in our industry to share this expense with them. AAH will need a great deal of funds to fight this battle. I ask you to mail AAH your check, and then set up a regular schedule. AAH will succeed; they must succeed! The funds you will be sending are to protect your company, your family, all your employees and customers. Sit down with your accountant and set up a program. This is an important expense. These investments will help insure you will remain in business. I shudder when I think about a tomorrow without DME/HME. If AAH fails in their efforts, where will you be? This morning, Thelma and I were discussing the pending Medtrade Exhibition in Atlanta (10/20-10/23). Although we no longer are retail dealers, we still look back and see how many wonderful ideas and programs we discovered at these beautiful spectacles. There value of attendance at Medtrade simply cannot be measured. I say, “Thank you,” to Medtrade, because after each show, we have always returned home filled with new ideas. Invariably we brought one or two employees with us. They earned that privilege! I cannot think of any investments we made that ever had a better ROI. The cost of inviting a member of your staff is almost negligible, because when they return home, so much more is added to your annual growth, including of course, increased profits. So I ask you, why not invest in one or two of your employees? There were a few comments made recently about the “HME Audit Key” program introduced by AAHomecare. This is an effort that MUST be supported. Every DME/HME dealer will benefit when Tom Ryan (President, AAH) brings this to fruition. That being the case, I ask that every DME/HME provider send them a check to support this. I actually want you all to do more than just send money: Why not become a dues paying member? Belonging will guarantee that your company will not be forced out of business. Don’t be “penny wise and pound foolish”! The few dollars it costs to become a member of AAH and your state association, when compared to how much it will cost when you are obliged to close your company, is negligible. Thelma and I are looking forward to the Fall Medtrade Exhibition. Each year, we received a fantastic ROI, and so can you. So why not register today and start building your future? I have always made it a priority to write about OTC cash sales. I try to send at least one blog per month on this topic. What I do enjoy is the response and interest I receive from readers. Since the reimbursement issues and other problems with Medicare, the need for new sources of income is on everyone’s list. Let us address it. In HME News and HomeCare Magazine there are usually articles about entrepreneurs who have successfully developed OTC cash sales. You must read these! At the Medtrade Exhibition there will be many speakers who cover this topic. Be sure you study the huge list of classes to attend for you and your staff members. I am very proud to say that I have been fortunate enough to attend every Medtrade! When I was a dealer, I chose two employees to come with us. We sat down and reviewed every lecture that we wanted to attend. We returned home with pages of notes to share with everyone. On the exhibition floor, we each made it very important to visit those booths offering products which complimented the lectures. Returning home after the show was so much fun. All four of us wanted to share with each other what we saw; the new products, or how to expand purchases from our current vendors. When our accountant saw how little the cost was to have all of us attend, and the fantastic ROI it developed, he was very pleased. He showed how after each return from a Medtrade Exhibition, our sales and profits increased. I am sure that many of you will tell me the same. I am addressing this to those DME/HME dealers who hesitate to make this investment. The Medtrade Exhibitions are where you will meet your peers, vendors, and the associated organizations. There you will speak with AAHomecare, the buying groups, our industry's publications, and the other related industries. Talk to your employees, make your reservations now, and earn the ROI that is available. There is nothing that can do as much for your company as MEDTRADE! I want to say “thank you” to those readers who never hesitate to call me (321-259-7127) or to send me an e-mail (shelly.prial@att.net). I really appreciate all their comments. I love to hear from each of you. I occasionally receive a pat on the back but it is the others, which are more important. This is how I find out what you want to know. Please keep them coming!!! When a negative is felt, such as the possible loss of a job, it can destroy a company. It must be addressed AT ONCE. When I spoke with each principal, I received a similar answer. They do NOT want to lose any employees! I suggested they hold a staff meeting and have their accountant present. Ask him to speak first to assure everyone the company is in good shape! Yes, sales have leveled off but he made it a point to see that their jobs were secured! I have always recommended their salesmen make outside calls to accounts they know and solicit new ones. I suggest these salespeople be “on the road” two days a week. By doing this, you should be able to keep enough people on the showroom floor. Approaching this problem correctly will bring you positive results. These dealers told me making this change worked. At the Fall Medtrade in Atlanta, you will find many new opportunities. Every indication is that this year will be the largest and most critical Medtrade ever! Vendors, along with many new companies, have already taken booths. Make your reservations now and plan to bring some sales people with you. This will be a “win-win" trip for your business. I am writing this today (on the fourth of July) and when it arrives at your screen, the celebrations will long be over! The excitement of this “holiday” is something we all enjoy and I want this enthusiasm and pleasure to always stay with you. The time has come to make some dramatic changes in how your company does business! Maintain the smile that you had while watching the firework displays. Then, every morning when you open the doors, greet everyone with that beautiful smile and a warm greeting. It is amazing how far this can go, because if every employee does the same, so will your customers! There is a song where the opening line is, “You got to start off each day with a smile!” Be sure that every employee does the same. When the telephone is answered, the caller should hear those same cheerful words. What I enjoy most on the Fourth of July is hearing the many songs we all know so well. Each year the festivities invariably close with “God Bless America.” My Rotary Club normally opens each meeting with Irving Berlin’s gift to America. Another thing you should do is ask each employee for ideas that would help build more sales. Over the many years I was a “retailer,” I found that when asked, a staff member would always have an excellent idea. When these ideas went well, that person received a prize (usually dinner at one of the local restaurants). Yes, it works! When you realize that your showroom projects the positive attitude you experienced on the fourth of July, you will see a difference in your sales numbers as well. Let us all aim to make Medtrade Fall in Atlanta (October 20-23) another FOURTH OF JULY celebration. "Put up or shut up!" The last time I heard that expression used was probably when I was still in high school. But strangely enough, I got a message. The situation our industry is facing is one where every DME/HME provider or dealer has to make a very important decision. Is this simple phrase the answer? AAHomecare is leading the fight to eliminate the current reimbursement schedules that are used by Medicare. For the past few years, through much hard work and effort, our industry was able to get a bill prepared to be introduced in the House of Representatives. In order to be passed, this must come out of committee and then be voted upon; but it was not followed up! In the last two years, despite all the work of AAHomecare and the State DME associations, we have failed in our efforts each year. Disaster! There is too much at stake for this not to have been passed. This is the third year that we are doing everything possible to get a “bill” out onto the floor of Congress, in hopes of putting an end to the “competitive" bid legislation which has failed and not accomplished anything positive! The problem is that we are not getting the support of every DME/HME provider. The same ones, who belong to the associations, are joined in the battle. But there are too many dealers saying, “I can’t afford to send my money.” So they will suffer, many will close their doors, and all of the patients who depend on them will be without help. When EVERY dealer or provider will get on board and mail a check to AAHomecare (they are leading this fight), our industry will survive. Please send as much as you can afford to protect your company, your family and your clientele! "Put up or shut up!" I would like to hear that every DME/HME provider will remain solvent. I want to see all of you at Medtrade in October. I want to see the biggest crowd that ever attended. They have the space to accommodate everyone. I have been informed that this Fall at Medtrade, there will be many new vendors, many exciting and different products, and all the old reliable friends will be there waiting for you. Not only that, Thelma and I will be there. When I first started to write these blogs, I decided to stay within the boundary of DME. After all, there are newspapers, radio and TV stations that deliver messages, and my messages are supposed to enable readers to expand sales and profits. We also have to work with the officials we elect, don’t we? The politicians have to work for all of their electorate, not just those who voted for them! But when our Congress malfunctions, I have to rouse my readers to become more aggressive. There are two things that keep the politicians in office: votes and money. We may not be able to control the volume of money that flows in their direction, but we have the ability to direct votes, which can either keep or replace Senators or Congressmen. For the last few years, our industry has been trying to bring about changes in the “competitive bid” programs and how reimbursements for services are paid. This must be accomplished. If there were standards, we might not be in such dire straits. But the system is so open that every dishonest person can get in and out without any penalty. I look at the fraud and abuse that is draining our dollars and ask why this happens. I have spoken many times in DC to various committees and always received the same answer. 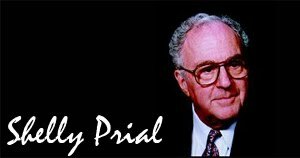 “Yes, Mr. Prial, we are aware of what you have told us. But the cost and time necessary to prepare those changes are not available." Why? We can send billions of dollars to countries that hate us, but love our dollars, and they go blissfully along their path and laugh. The economy is in trouble, and some of the money that we give away would do a great deal more good by fixing highways and bridges so more jobs would become available; but we have a Congress that malfunctions. Democrats and republicans will not sit down together to see how they can bring about the necessary changes. What can you do as a DME/HME provider right now? We must get HR 1717 out of committee. AAHomecare and the state associations are working overtime on every dealer’s behalf. But, every dealer is not a dues paying member. I will say no more. I will just remind you to send AAHomecare your check and join! !